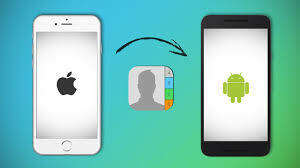 Here are few easy ways for the people who are migrating from an iOS device to an Android one, it’s easy to have your contacts moved. Login to your Google account (or first create one, if you don’t have it). Now, head to Settings > Mail, Contacts, Calendars, and add the Google account there. When asked what information is to be synced with the account, make sure you select Contacts. Note that synchronization may take a while depending on how many contacts you have. When finished, you can check the list of contacts in your Google account. Apple’s own iCloud synchronization service can also come in handy for transferring contacts from an iPhone to an Android smartphone. To do this, go to Settings > Mail, Contacts, Calendars, and then select ‘iCloud’ from account options. Now select contacts to sync your contacts with the iCloud account. After this is done, you’ll have to head to icloud.com on your PC’s web browser and log in with your Apple ID. After logging in, select Contacts > All Contacts. Now click the gear icon at the bottom of the page and click Export vCard. This will create a VCF file on PC which can be imported to your Android phone. There are plenty of third party apps that can help you get the contacts migrated from an iPhone to an Android phone. However, make sure you select an app that is available for both iOS and Android platforms. Nearly all basic contacts transfer apps include the ability to backup contacts and send them as an email attachment (VCF file) to an address of your choice. Once this is done, simply download the VCF file on your Android phone and the contacts will be imported to your device. Connect your iPhone to your computer. Open iTunes and go to the iPhone option at the top. Under the Info tab, check the ‘Sync Contacts with’ option and select Google Contacts. Finally, enter your Google account details and hit the ‘Sync iPhone’ option.